Philip Eustace Stretton (1865-1919) was a British animal and sporting painter working between 1882 until his death. 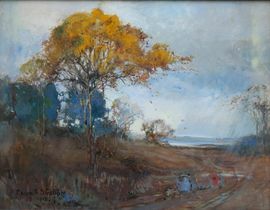 He painted in oils and watercolour and exhibited at the Royal Academy between 1884 and 1904. 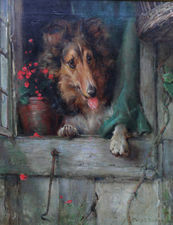 Stretton was a follower of Sir Edwin Landseer, whose animal paintings had an enormous impact on Stretton.